The epistemology of modality has focused on metaphysical modality and, more recently, counterfactual conditionals. Knowledge of kinds of modality that are not metaphysical has so far gone largely unexplored. Yet other theoretically interesting kinds of modality, such as nomic, practical, and ‘easy’ possibility, are no less puzzling epistemologically. Could Clinton easily have won the 2016 presidential election—was it an easy possibility? Given that she didn’t in fact win the election, how, if at all, can we know whether she easily could have? 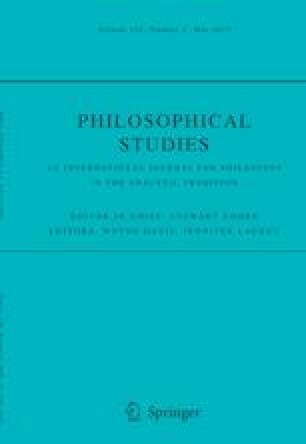 This paper investigates the epistemology of the broad category of ‘objective’ modality, of which metaphysical modality is a special, limiting case. It argues that the same cognitive mechanisms that are capable of producing knowledge of metaphysical modality are also capable of producing knowledge of all other objective modalities. This conclusion can be used to explain the roles of counterfactual reasoning and the imagination in the epistemology of objective modality. This paper started out as Margot Strohminger’s project. Juhani Yli-Vakkuri was recruited as a coauthor in the final stages of preparation for publication. Credit (and blame!) should be assigned accordingly. We would like thank Timothy Williamson for detailed comments on early drafts of this paper, as well as Johannes Brandl, Jessica Brown, Catharine Diehl, Peter Fritz, Christopher Gauker, Sören Häggqvist, John Hawthorne, Hannes Leitgeb, Julien Murzi, Christian Nimtz, Barbara Vetter, and audiences at the Munich Center for Mathematical Philosophy (MCMP) at the Ludwig Maximilian University of Munich, the Free University of Berlin, the University of Antwerp, the University of Edinburgh, the University of Salzburg, and Bielefeld University for helpful comments and discussions. This research was supported by the Alexander von Humboldt Foundation.